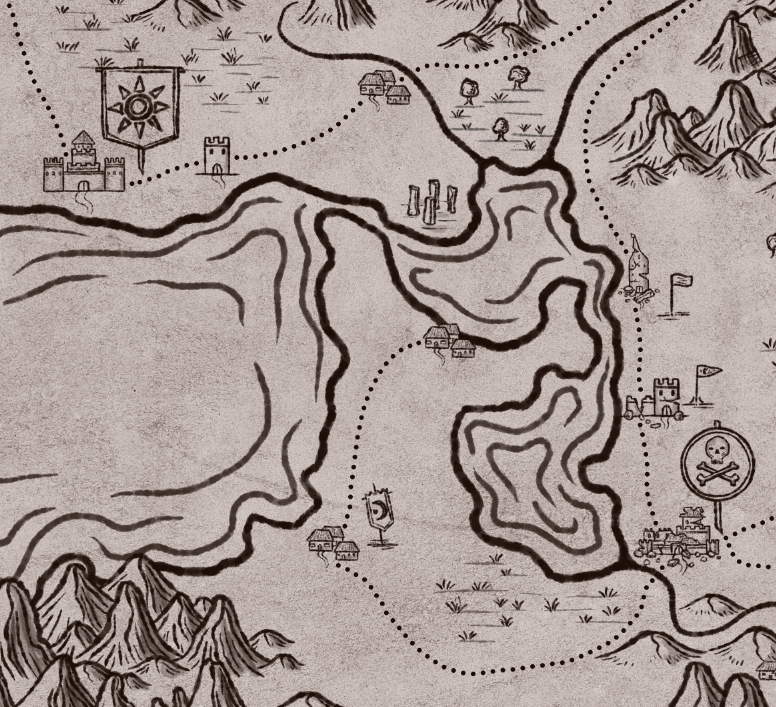 Pals, here’s a cartography token/tile set for those crafty DMs and world builders that love to create their own locations with premade assets. There are 190 tokens in total. 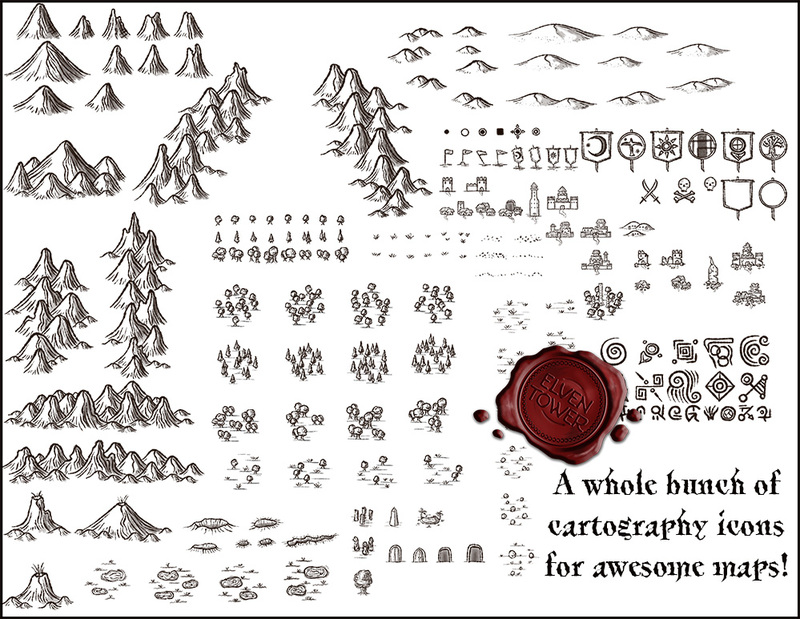 This token pack is great to create regional or world maps. All tokens are hand-drawn in a style that appears to be made with a soft ink brush. 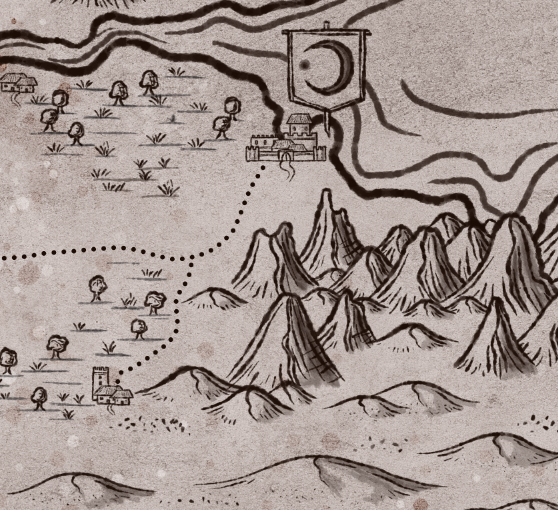 It is possible to create pretty “in-world” maps with this pack. 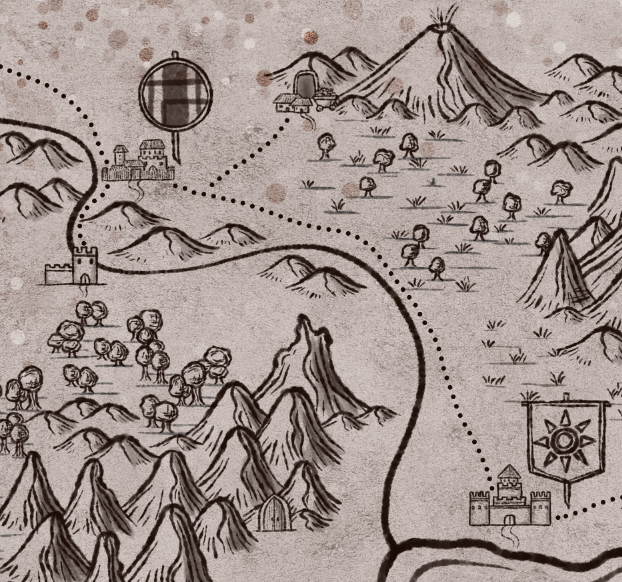 The tokens include geographical features, settlement icons, location icons, backgrounds, margins, compass roses, among other things. If you have no wish to make your own maps. I’ve also included a folder of premade maps below. They come in different states of progression. There are 3 full fledged ones. If you want a commercial license for these assets please purchase the pack here.